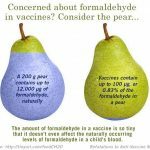 Antivax Myth: “Vaccines contain toxic formaldehyde” - Vaccine F.Y.I. 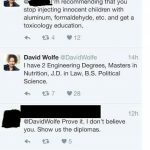 We all hear about formaldehyde in high school biology. Its aqueous solution—formalin—is used to preserve dead things. 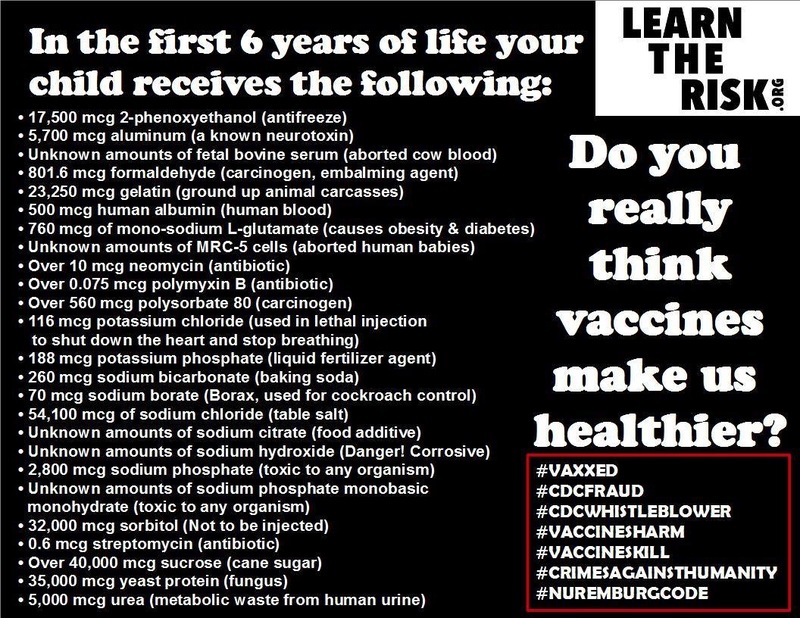 Why is it in vaccines? 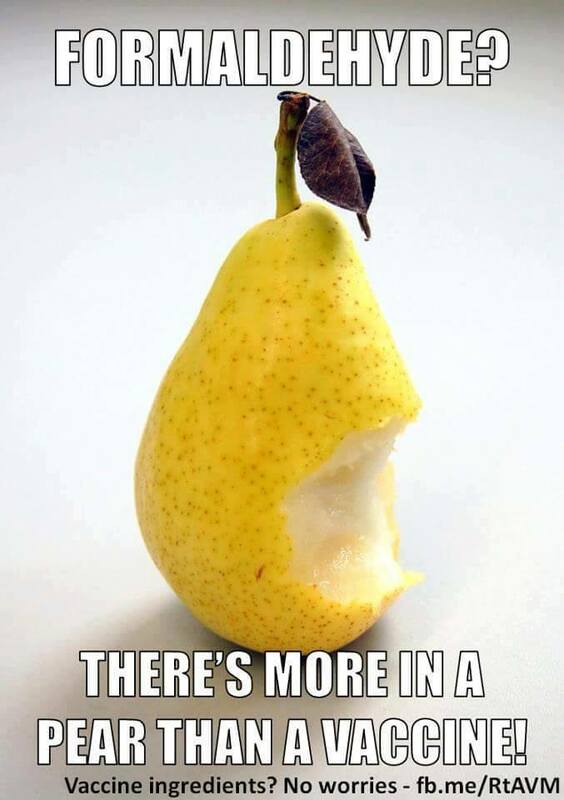 Won’t that pickle us from the inside? 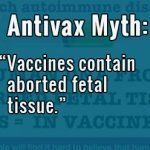 Formaldehyde inactivates bacterial toxins and viruses in some (not all) vaccines. 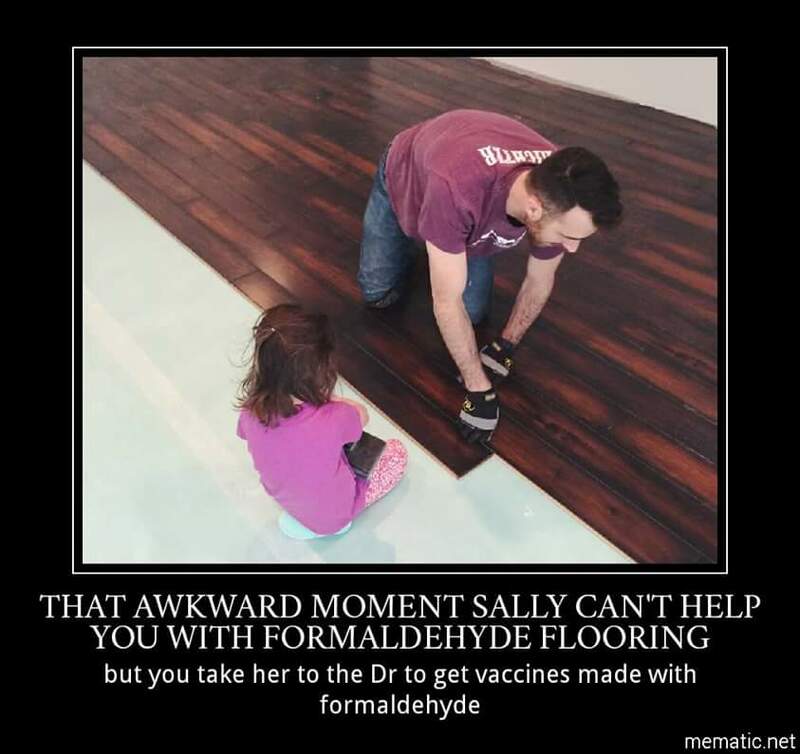 Manufacturers are able to remove most of the formaldehyde afterward. 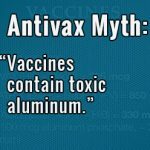 There are residual amounts of it in the prepared dose. Formaldehyde is a common, naturally-occurring compound. 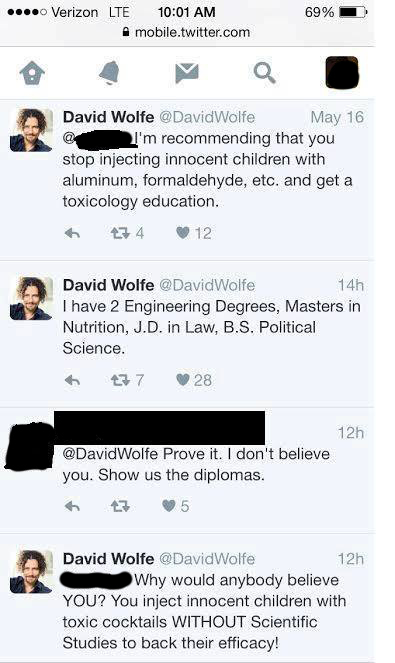 It is an extremely simple molecule. It contains one carbon atom, one oxygen atom, and two hydrogen atoms (CH2O). It was one of the first molecules to form on the Earth, and is a building block in many complex organic chemicals. At high enough concentrations and with long-term exposures—such as occupationally—formaldehyde can indeed be toxic. The highest risk of toxicity from formaldehyde is from inhaling it in conditions of unusually high or prolonged exposure. 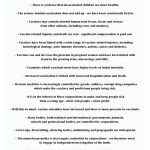 Under normal conditions, the human body is producing and eliminating its own formaldehyde continuously. Our body uses the molecule to build proteins and nucleotides, two of the four most critical building blocks of life (the other two are lipids and carbohydrates). 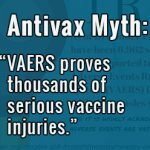 The amount of formaldehyde present in some vaccines is so small compared to the concentration that occurs naturally in the body that it does not pose a safety concern. We humans are efficient at metabolizing formaldehyde. 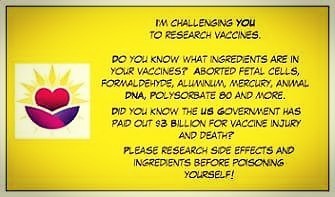 Our body does not distinguish between formaldehyde from vaccines, and that which is naturally-produced or environmental. 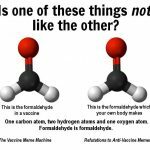 Either way, our body goes ahead and breaks formaldehyde down and excretes it the same. 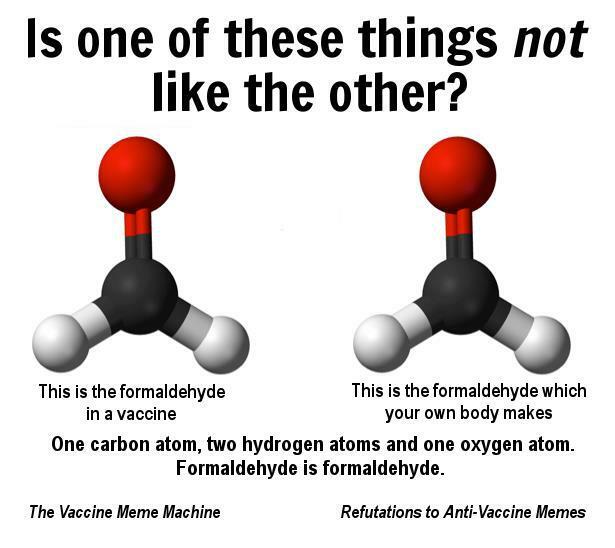 Formaldehyde does not accumulate in the human body. 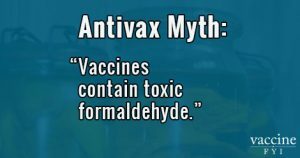 Post-vaccination, formaldehyde is gone from the muscle at the injection site within 30 minutes. 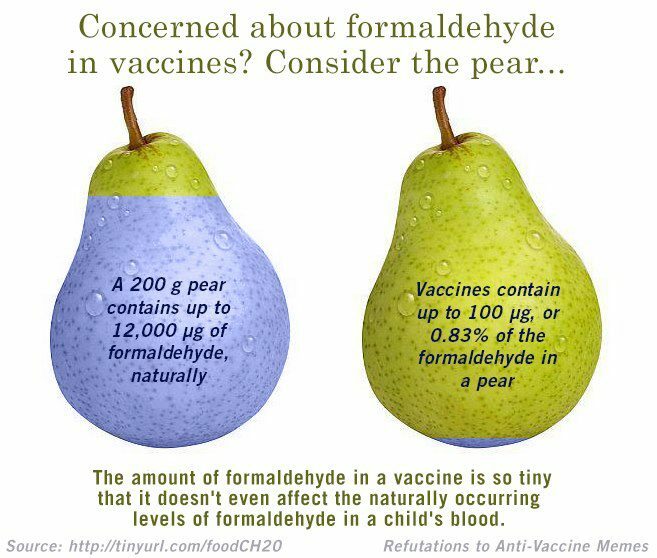 Any remaining formaldehyde is less than 1% of the existing, naturally-occurring level in the body. Let’s look at a few more numbers. 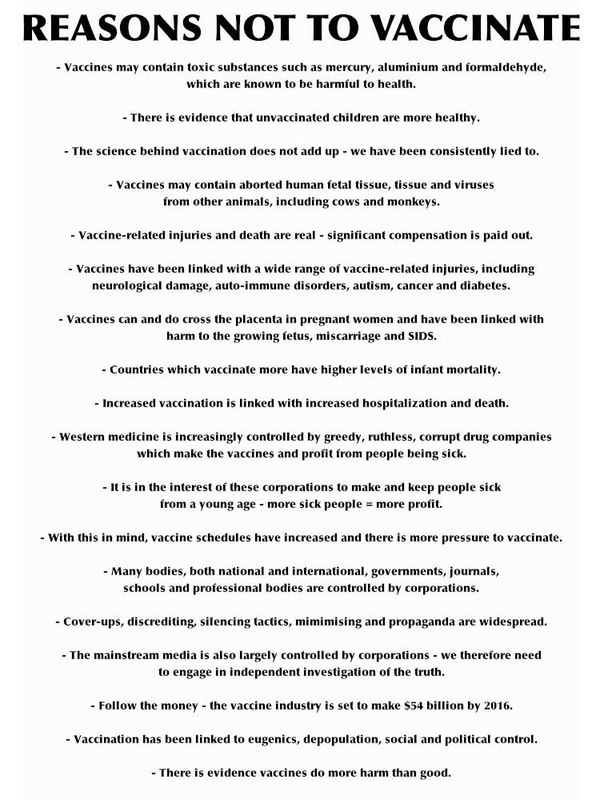 Below are listed the quantities of formaldehyde per dose found in some common children’s vaccines. 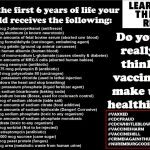 The numbers in the table above range from (less than or equal to) 0.0004-0.1 milligram (mg) of formaldehyde in each dose of vaccine. One milligram (mg) is equal to one thousandth of one gram. That’s the weight of a stick of gum divided by one thousand. 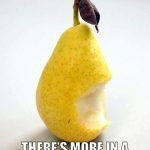 So 0.1 mg is the weight of a stick of gum divided by ten thousand. 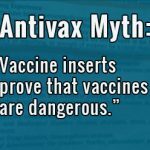 Side note: Sometimes, anti-vaccine activists will write “0.02 mg” as “20 mcg”, so as to make it look scarier when stating ingredient quantities. A microgram (mcg, or µg) is one millionth of one gram—a stick of gum divided by one million. It takes one thousand mcg to make one mg. Here are the formaldehyde levels in some common foods. 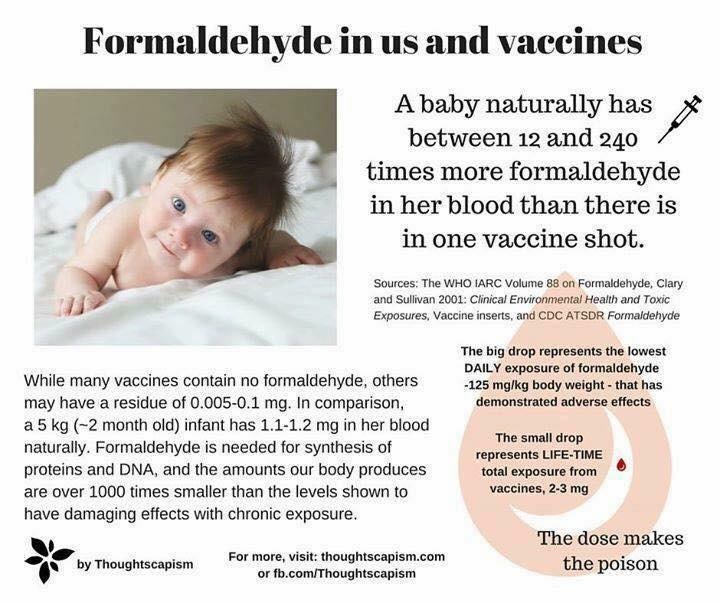 Here is the formaldehyde level preexisting in the body of a human infant, compared to the vaccines she will receive. 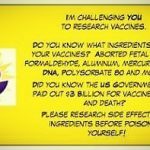 In a very conservative estimate, the Environmental Protection Agency (EPA) has determined that a human could consume at least 0.2 mg/kg of formaldehyde every day without suffering any adverse effects. That’s 0.2 mg per kilogram of body weight. 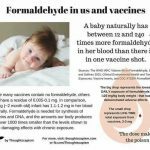 A five kilogram (11 lb) infant could easily tolerate at least 1.0 mg of formaldehyde each and every day, in addition to what naturally occurs within her body. A 68 kg (150 lb) adult could deftly handle over 13 mg of formaldehyde daily. The dose makes the poison. 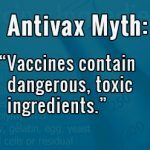 The quantity of formaldehyde in vaccines, even in a combination of several doses, is not anywhere close to a poison.